Welcome to the World History Forum for the International School of Sosua. 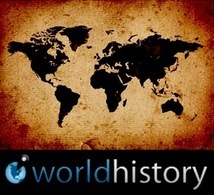 This is a moderated forum for mature discussion of World History topics covered in class. Louis XVI was born on August 23, 1754, in the Palace of Versailles. He was the third son of Louis, Dauphin of France. His mother, Marie-Josephe of Saxony was the daughter of the King of Poland. He grew up as healthy child although was really shy. He was privately tutored and liked school. Also he enjoyed sports like hunting and wrestling. His parents didn't pay a lot of attention to him, instead they gave their attention to the oldest son Louis, who died at age 9. Four years afterwards his dad dies of tuberculosis, and Louis Auguste became a king at age 11. His mother had trouble of overcoming deaths and she died 2 years after her husband of tuberculosis. Louis Auguste was ill preparing for the throne because of his parents death. His tutors told him that strictness is a good character in monarchs and that he shouldn't be shy anymore. As a result he became an indecisive king of France. At age of 15 he married 14 year old Marie Antoinette, in an arranged marriage. She was from Habsburg, and was the youngest daughter of the king. At the beginning appealed by her personality, eventually came to accusing her of being to nice to the French enemies. At the beginning their marriage was distant. He was shy with her in private and his fear of her manipulating him made him cold in public. They had their first child eight years after the wedding. At the end, the couple had four kids, and only one died in childhood. Wow, great post! I find it sad how Marie Antoinette was forced to marry Louis, not only because she was in a foreign country with a stranger, but because of the aftereffects. She was blamed for the oppression of the third estate, being the symbol for the wealthy, fortunate lifestyle everyone in the third estate craved. Propaganda was spread about her, claiming she said, "Let them eat cake!" This created an image for her: a woman who spends all the tax money workers earned for frilly dresses and wildly expensive wigs, not caring enough about her own country to know the situation they were in -- she didn't even realize they were all starving! However, that is untrue and that false claim was used only to enrage the third estate further to push them in the direction of a revolution. She suffered an ill fate when she was killed a few months after King Louis XVI was beheaded, her children imprisoned for years. It's a shame that he grew up to be such an incompetent king. If only he had made some more wise choices, who knows what could have happened? Anyway, great post! It sad how at first people of France loved and cherished the couple for a few years and then totally went against them.